Hideaway resort at central Bali. The most exotic place in Ubud City. Located in Payangan area, located at an altitude that makes the air here is cool and very comfortable. Surrounded by trees with different kinds of singing birds that can still be heard. Every times you breath every times you will get freshness come to your soul. Make it like your own house. 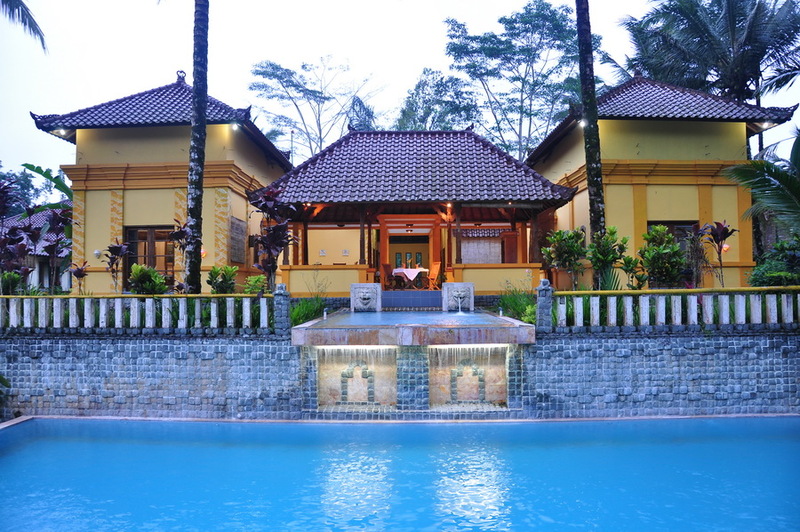 Our Javanese building (Joglo) that more option to enjoy the atmosphere of the natural beauty. 6 Rooms with: air conditioning. We have double bed room sharing bathroom for two people, triple bed room sharing bathroom for 3 people, 3 individual double bedroom ensuite bathroom. In bathroom facilities: hairdryer, bath amenities, hot water, standing shower and towels and 1 Dormitory with TV at Common/ Living room ( 80sqm). We try to make you feel like home but also you can use the swimming pool at Raffles Holiday Hotel. 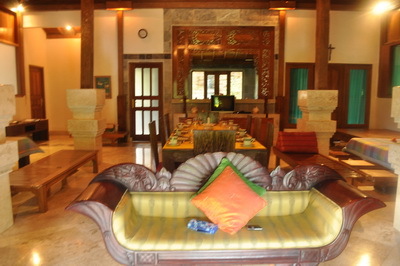 Just 15 meter from Ubud Hideaway. See our Freemium service for your comfort. – We have 4 rooms wheelchair accessibility. – BBQ area near the swimming pool. – Tour desk and car rental. Try to cooking? You can use our guest kitchen that you can use from 06.00 p.m up to 06.00 a.m. In guest kitchen facilities: refrigerator for common, gas stove complete with kitchen utensils. Personal Attention and Assistant. We will also provide extra attention and will give you the necessary information to assist you to set up your trip or on a tour that you will do. Our advise to you if you not really sure what would you plan. Certainly more so you can save your time effort and money. And you don’t hesitate to ask anything to us, we will be happy to provide answers if you can help. We also can help you to order or book taxi and other places that you need using Bahasa Indonesia. We will give you all of this city story and about the good places that you can visit.